In today’s increasingly digital society, children learn how to operate smart devices from a young age and for a variety of reasons. As parents, these devices can be great educational tools, but many parents find it all too easy to use them as time-fillers and mindless “digital nannies”. Under parental supervision, we ensure that the content they consume, as well as the games they participate in, are wholesome and child-friendly. However, therein lies the problem of not being constantly able to supervise our children’s online activities. For this article, we feel that the idiom ‘Curiosity Killed the Cat’ would be the most apt in describing the situation. Whether it is allocating limited amounts of time for your children to use smart devices in a day, or if they have their own smartphone or tablet, tracking their activity, social media, photos and location via monitoring software is important to understand how your child uses technology. If your child is spending too much time on video games, there could be an increased risk of them failing academically, and needing to be spoken to about their priorities. Furthermore, malicious threats or undesirable activities could be lurking in such games, as discovered by a mother who accidentally discovered sexual activity being conducted in a popular children's’ game. Monitoring their smartphone usage and social media activity can help you identify issues such as online bullying or if your child is being threatened at school. Children tend to hide these issues for fear of embarrassment, which makes it more important for parents to proactively take action on their child’s usage of these various devices and services. Children may not be at an age of understanding the value of money, and would often purchase things such as games or in-app purchases without any thought about consequences. 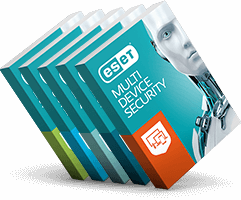 Results in the recent ESET APAC Consumer Behaviour 2018 Survey revealed that 29% of Singaporean respondents do not deploy parental controls, while 22% give their children permission to download programs and apps on their own. These parental controls are easy to set up and require your child to ask for your permission before making any purchases. This makes it a great, simple opportunity to teach your children the value of money and responsibility. 3. Limit the number of downloads. Children are oblivious to the dangers and cyberthreats lurking around the internet, making them easy targets for hackers and cybercriminals. They are more likely to download programs that look legitimate but are actually malware. This would easily fool children into thinking they’ve downloaded something useful, but in fact, it could possibly be stealing your data, infecting other devices, or damaging your device as well. While we embrace the oncoming technological revolution, we should be wary of the dangers it brings and deploy safeguards to ensure that our children and future generations are able to enjoy its advances with peace of mind. The curious mind of a child is a beautiful thing that should not be limited, but safeguarded to ensure that curiosity, doesn’t kill this cat!